Following reports of Akon’s fraudulent criminal past, Kardinal Offishall, Konvict Music signee, wanted to set the record straight on the allegations. As previously reported, Akon’s streed cred was recently put into question when The Smoking Gun released the Grammy award winning artist’s rap sheet. The report discounted the singer’s claims to having spent years in prison for heading an infamous car-theft ring. According to Kardinal, the reason Akon’s criminal record doesn’t reflect the troubled past the singer has depicted on wax may be because the R&B star spent a lot of money to have his record cleared. At that same time Kardinal thinks the media spends too much time dwelling on the negative. 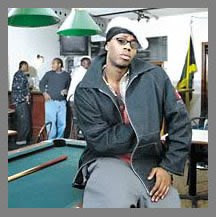 Kardinal has a message to the media when dealing with such issues.